This entry was posted in Age Discrimination, Aging, Baby Boomer Literature, Baby Boomer Topics and tagged baby boomer fiction, baby boomers, books about baby boomers, boomer-lit by Lynn Schneider. Bookmark the permalink. Great post, Lynne. I ran across some of the pieces you mention and have been contemplating a similar post, but like Ms. Nougat you beat me to it, and better than mine would have been. Thanks, Sharon. We’ve got to spread the word about the new genre. Yeah, Ms Nougat beat me to it, I’m just trying to spread her words around so more people take notice. Glad you find a site to share your niche. I’m not a baby boomer (missed it by just a bit), but that doesn’t mean I’d never read anything about them. And I liked Harry’s Law, too! Your post also reminds me that I need to use Goodreads groups more. I’ll have to join a few. Just already have my fingers in so many social media pies. That’s exactly what they said though, about Harry’s Law. The advertisers want the under 50 market and all their polls showed older people watching it. They said that group is “brand loyal” so their advertising dollars aren’t well-spent. What? I am not, nor have I ever been, loyal to any brand. I’m always looking for something better. I had to go with a new WordPress theme, because I added new tabs and the old one showed them above rather than below the picture. Got into a whole afternoon of designing and re-designing. But I’m happy with it. I notice that like my new theme, yours doesn’t have widgets in the sidebar for the individual post pages, just the main blog site overall. I didn’t realize that about my theme until after I paid for it (it’s one of the premium themes). I was disappointed as I like having my widgets show, but I’m realizing the nice, clean look is good, too. And I have to wonder how many people paid attention to my side widgets anyway. I noticed that too about the missing widgets but decided I liked it, that the posts were just the posts. All that cluttery stuff can be on the Home page. Baby Boomers are so interesting, Lynn, and the problems they face are real. At 54, I have a friend who is dealing with her daughter serving in Afghanistan, another who’s sons won’t leave home, another whose husband left her after 30 years of marriage, another who is a strong athlete who is now faced with a failing body, and on and on. So many subjects to create riveting fiction around. I’m interested in checking out the site on Goodreads. Thanks! Those are interesting subjects to write about. Everyone’s life seems to get a little more complicated as they age. That can make for some good ideas to grow into a book. So many changes during our lifetimes. Many of the stories you cite here wouldn’t have happened fifty years ago. Women in the military? Sons not leaving home? Breakup of a 30-year marriage. All very unlikely. I wonder if advertisers do not know how to target, or more specifically what to target with, as most people once they reach a certain age have many of the things that they want. Younger people are easier to target with the try this and that, where as with more experience, you pretty much cut out a lot of that and get what you want. So while there may be plenty of money to be spent, what do you target people with? Well, that’s certainly true, that older people have pretty much what they want. I never thought about it that way. I was thinking more along the line of consumables. And, yeah, you get old and jaded and advertising so doesn’t work with me anymore. Who watches commercials anyway? Just dvr and fast forward through them. They are all so lame, who can stand to see them. “We are still cool and we will rock our nursing homes.” I love this. Write on! Thanks, Barbara! I’m on my way over to check out your blog now. Thanks, Lynn! I’m a bit behind in responding, but I hope you enjoyed it! I vote for the Baby Boomer genre. Older people do have something to say and it might be a good idea to listen to us. Some of us don’t get things right. Some do. Still we have lived and adapted to a rapidly changing world. Right, the Baby Boomer genre, hope it’s here to stay. We have seen many changes, that’s for sure. And, I don’t totally get why marketers don’t want to market to us. Aren’t we often the ones with the disposable wealth? Depending on the characters and the story, older characters could be interesting to anyone, I would think. But even if we concentrate on just this age group, that is a huge market. As to our disposable wealth, the only thing I can think of is that younger purchasers are more impulsive and more apt to “have to have” the latest, greatest thing, more prone to trends, etc. I don’t know one this year’s fashion trend from last, so the marketers may be right there. Love it, Lynne, thank you! I am a “tail-end” Baby Boomer. I love good stories about characters of all ages, but as a writer, seeing the publishing market skew younger and younger is a bit disturbing. If “New Adults” can have their own genre, why not a bit of focus on older characters? After all, we will all become them, eventually. We may have some in our lives. This could help a lot of people, to see the challenges and vitality of aging and not just the stereotypes. You’re right. Why not? As baby boomers we enjoy the phenomema that there is strength in numbers, so maybe we have an advantage in that regard, I like stories about characters of all ages too, and I like the idea of portraying baby boomers as active, vital people who aren’t about to slow down any time soon. I am a baby-boomer and I write about BB’ers. 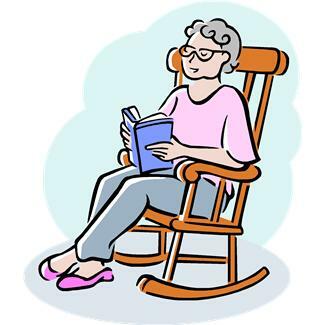 The women in my book, When Least Expected, do not have gray hair, and they certainly don’t sit in rockiing chairs or center their daily lives around pill-taking. Like me, they are too busy living a life that includes bicycling, golf, tennis, skiing, hiking, etc. What is different about BB’ers? We have a different perspective on life because we have experienced so much of it. At the same time, we will keep growing our perspective because we plan to experience a whole lot more. Lynn, I know you joined our Goodreads Group and you’re an active member! I’m sorry I missed your excellent post, you very nicely sum up what happened after Boomer Café published my article – and as I’ve noted since on my own blog, it’s been picked up further by many bloggers, including Gawker Media that did a rather odd comparison between boomer lit and New Adult! And no, we’re not sloths ready to die, we’re dynamic and we’ll make sure that getting old will never be the same again, LOL! The negative comments posted gave some interesting perspective. We are the first generation identifiable as a group, I think, and we are by far the biggest in numbers of any of those groups. So we had a lot of influence on a lot of things and it’s likely sour grapes on the parts of those that we can still do that. I hadn’t thought of that! You’re right, we’re the first fully identifiable generation of the modern age, and now able to take advantage of Internet and the Digital Revolution. And that’s exactly what we’re doing: boomer lit is one more step!